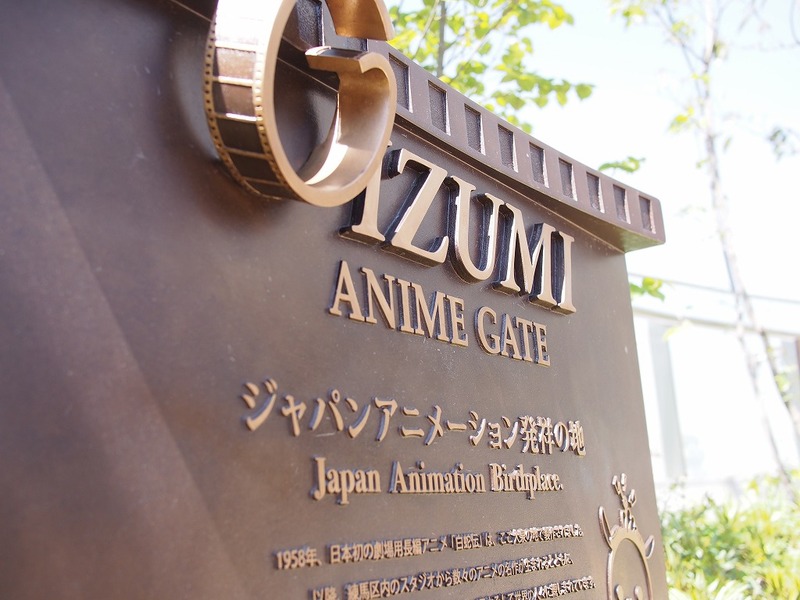 Oizumi Anime Gate: Anime Stars on Parade in Tokyo | Anime etc. 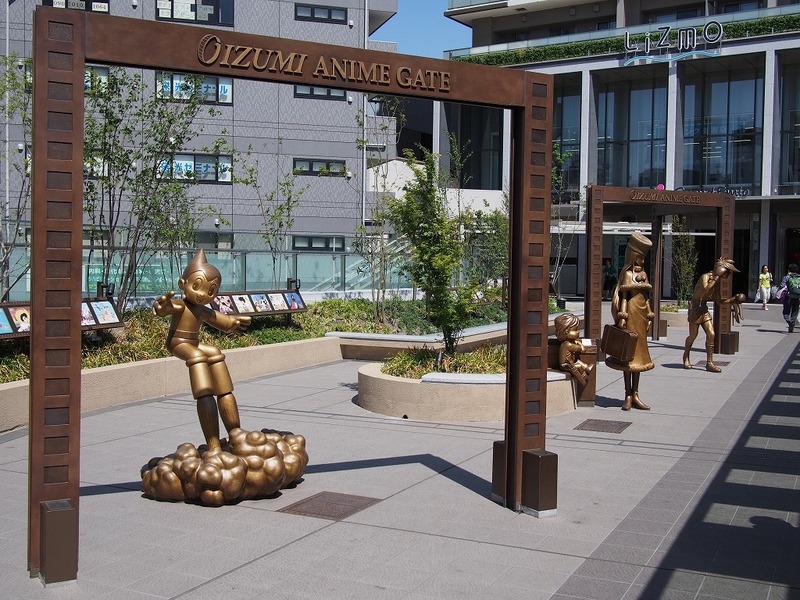 Oizumi Station is in northwest Tokyo, in the Nerima district, which was home to some of the oldest anime studios. 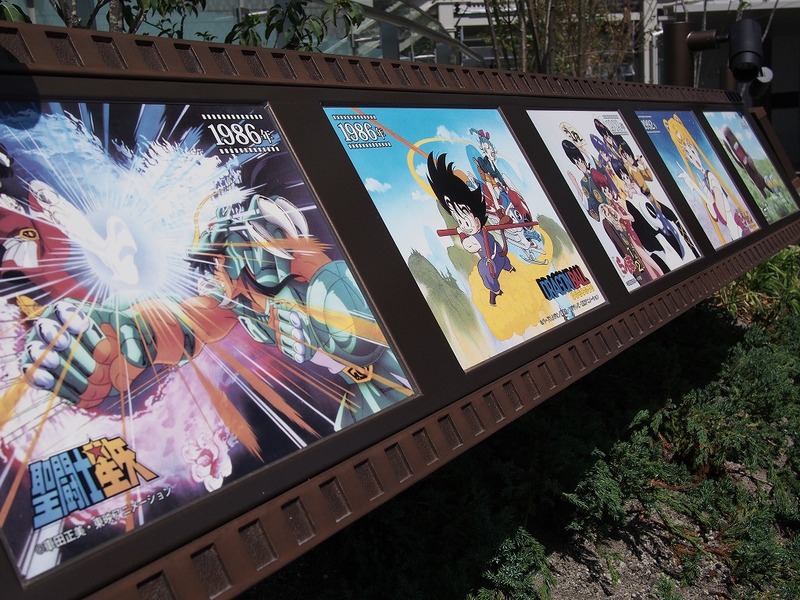 Toei Animation is the biggest of them all, animating franchises from Dragon Ball to One Piece; it’s still around today, unlike Osamu Tezuka’s Mushi Pro, which made Astro Boy and Tomorrow’s Joe. 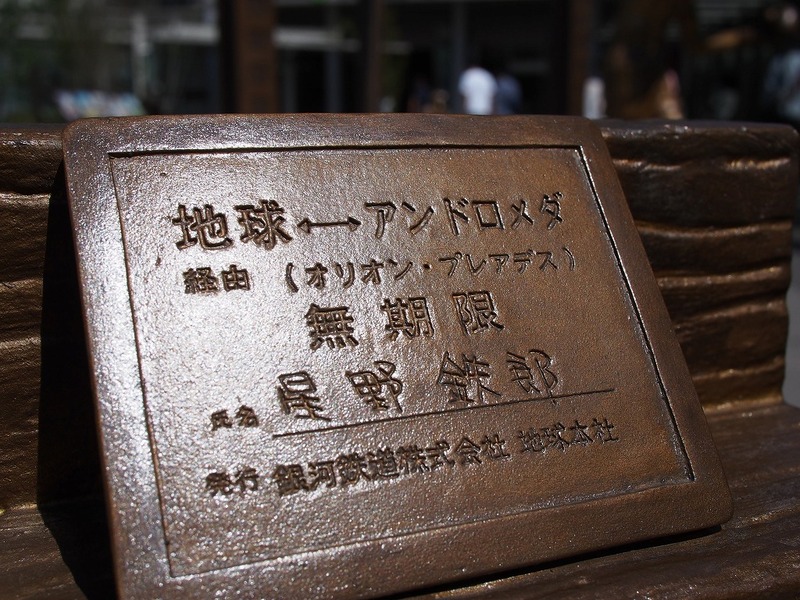 Now they’re honoured in the bronze statues pictured below, which can all be found at Oizumi station. 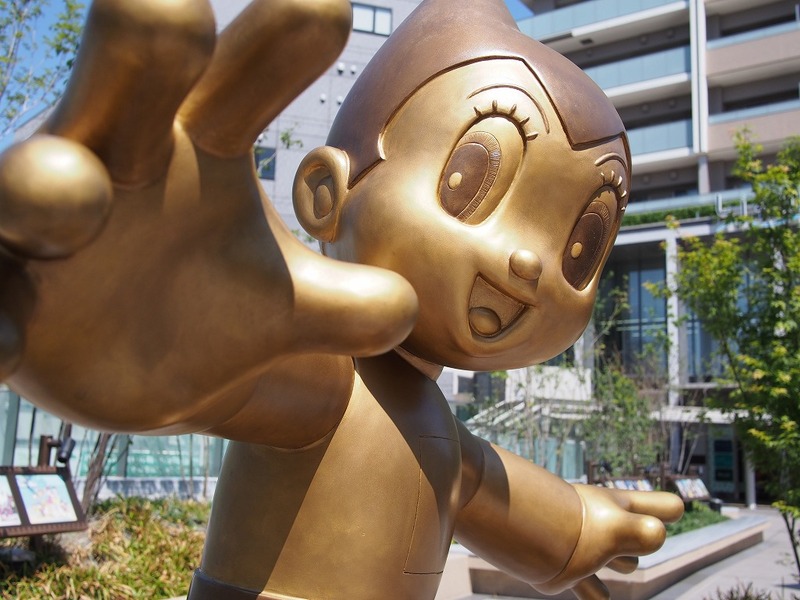 Mushi is represented by statues of both Astro Boy and Tomorrow’s Joe, while Toei is represented by statues of Maetel (the woman) and Tetsuro (the boy), both from the space fantasy series Galaxy Express 999, based on the manga by Leiji Matsumoto. 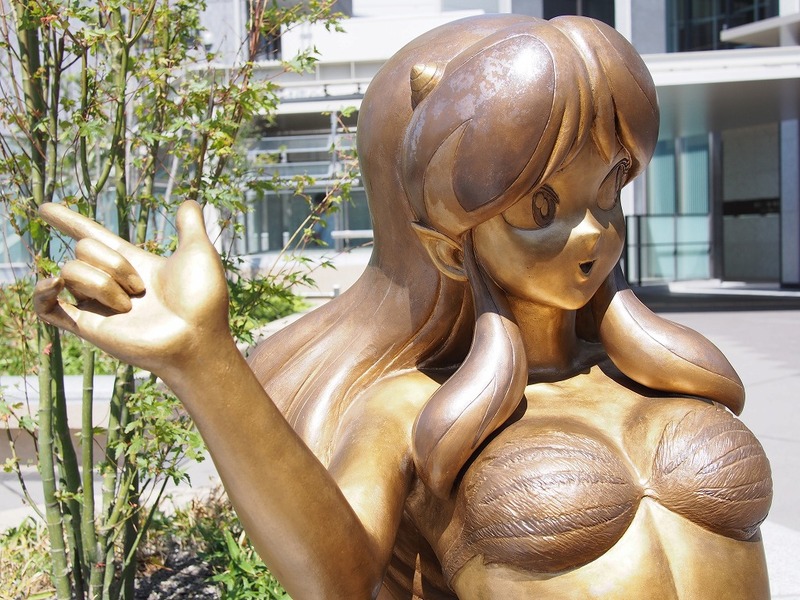 Also represented is Lum, the bikini-clad alien girl from the comedy series Urusei Yatsura. 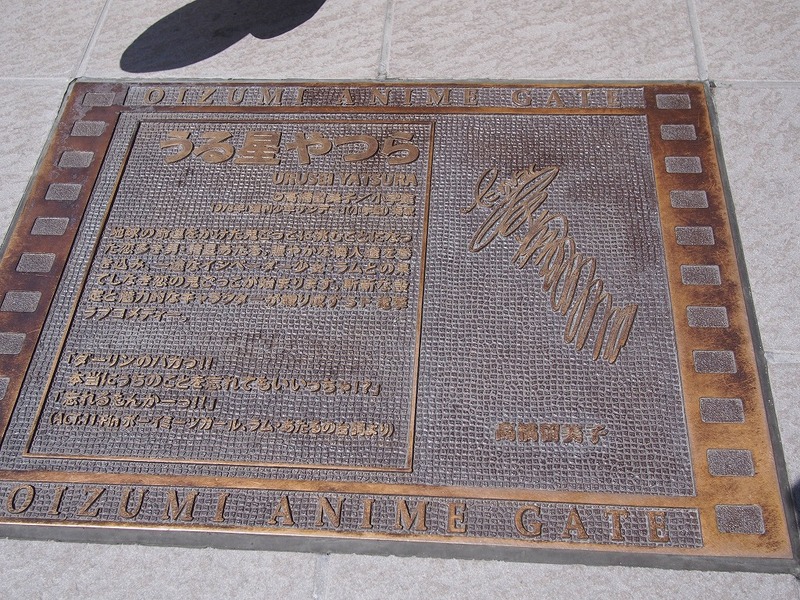 Although the studios which animated Lum (Pierrot and Studio Deen) were located outside Nerima, the character was created in manga by Rumiko Takahashi who is a native of Nerima, as is Matsumoto. 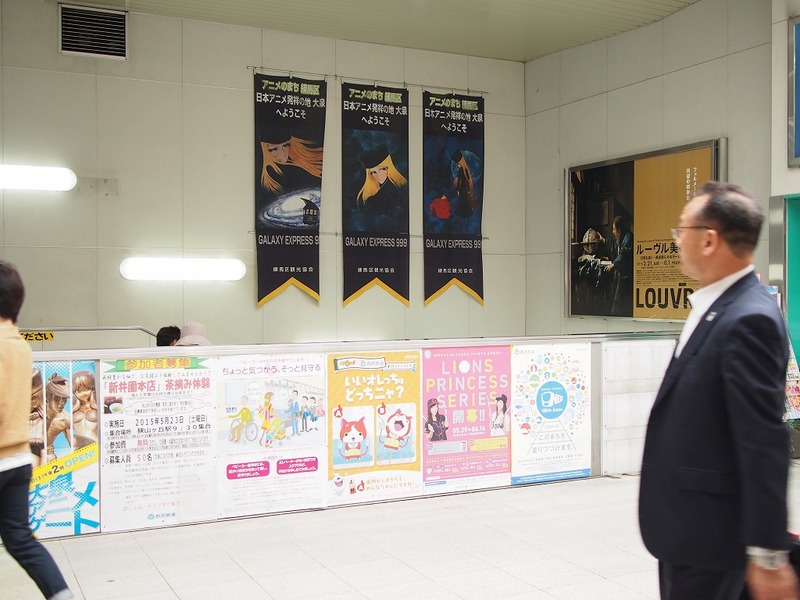 Both artists were present to unveil the statues of the characters in April 2015. 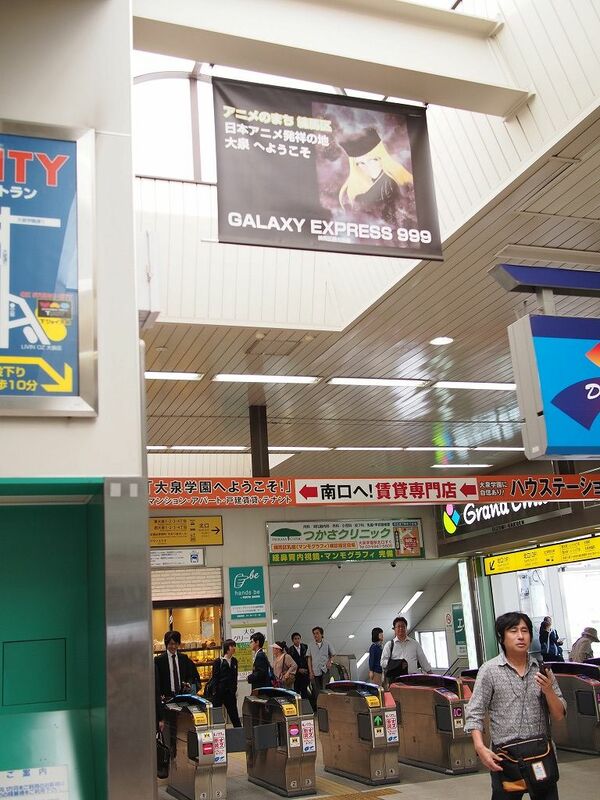 Railway pass from the Earth to Andromeda station, from Galaxy Express 999. 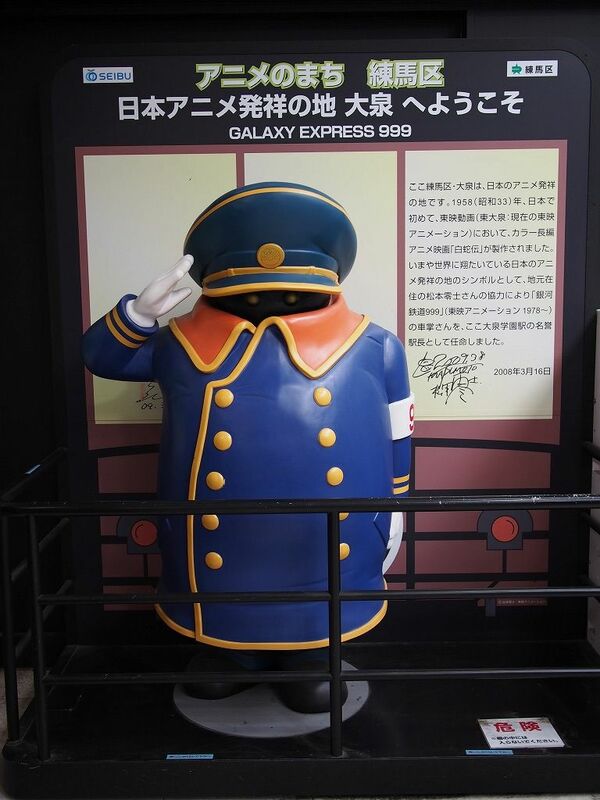 Conductor from Galaxy Express 999, saying hello at Oizumi station. 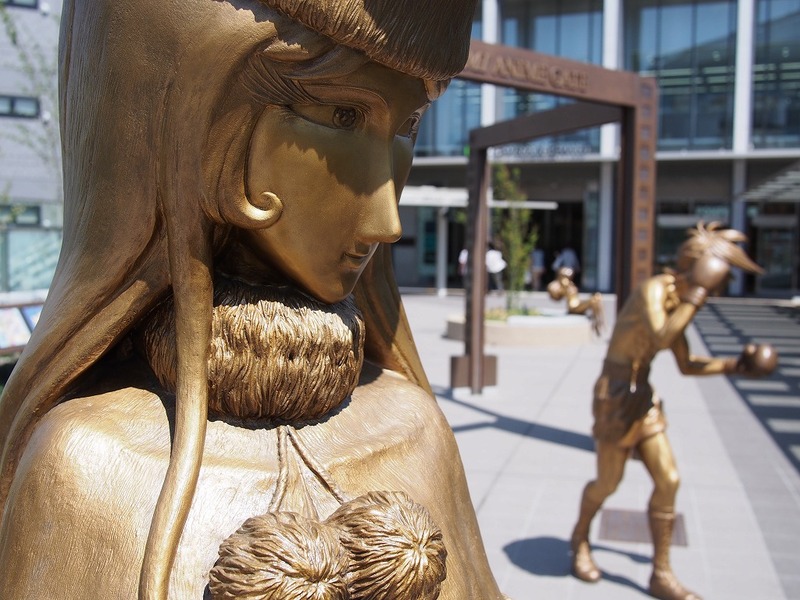 There are more details on the statues in this article here.